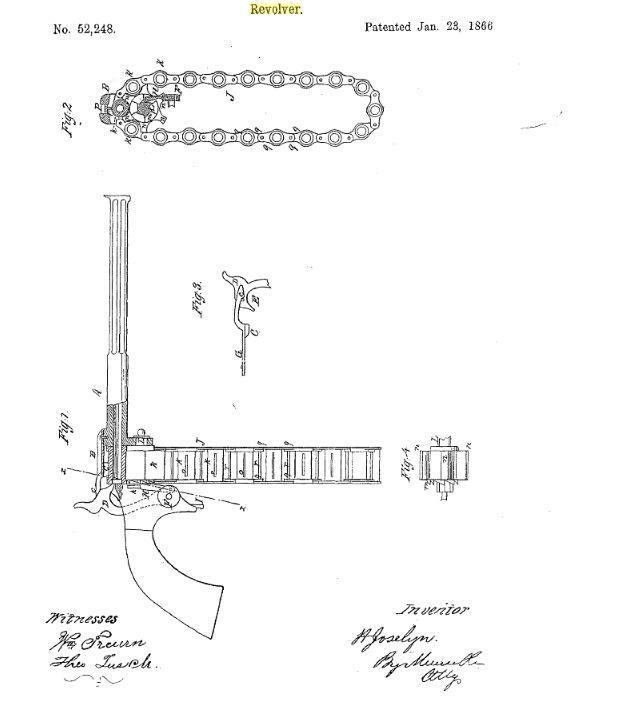 Turns out it is a unique single action 20 shot chain fed revolver from 1866 patented by Henry S. Josselyn. There isn’t much information around about it, but there is at least one retained by the Smithsonian Institution. 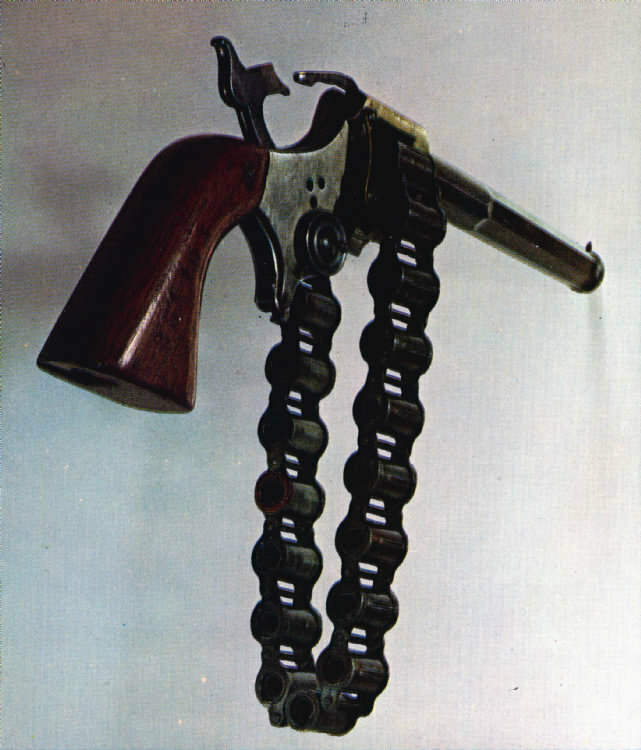 Can you imagine holstering this bad boy? And it would wreak havoc on anti-gun laws where revolvers are exempt yet anything over 7/10/15 rounds are illegal!